Certainly creative, but too weird and self-indulgent for most. When the director of an anime production mysteriously disappears, a replacement is brought in to complete the film. He must now absorb all that the old director was so that he can complete his work as it was intended, but as members of the strange production crew keep turning up dead, that may be even harder than it seems. 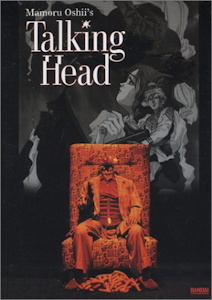 Talking Head is a live-action film both written and directed by famed anime director Mamoru Oshii, something that would not happen again until Ghost in the Shell 2. A truly weird experiment of a movie, it is a mix of a surrealist art film, a self-referential stage play, and an analytical essay on the history and development of filmmaking as an art. The sort of thing a film student overwhelmed with finding his place in the craft would produce, it is not the kind of movie that most people are willing to spend two hours watching, although not surprisingly it's so filled with references and analysis of filmmaking that an actual film student would get quite a bit out of it whether they enjoyed it or not. Talking Head felt to me like a very self-indulgent production for Oshii; a film without story, most of its scenes seem to exist for the sole purpose of analyzing some point in the history of filmmaking--the birth of narrative, sound and dialogue, color. Since the movie takes place in an anime studio, the way that each of these ideas fits into animation is then covered. Finally, the concepts are deconstructed and added to the movie itself. One way of looking at it, in fact, is as a movie composed solely of deconstructed cinematic devices. Many will be familiar to anime fans (some subtle, others amusing for their absurdity), though the movie covers most of the fundamental developments in filmmaking as well as nods to specific films from Nausicaa to Godzilla. In some cases, classic shots and scenes are recreated in the absurdist framework of the story, while in others familiar ways of constructing a plot are twisted into the opposite of the norm. The movie does have a bit of a sense of humor, though its overriding style is much more like the darker works that have made Oshii famous--determined, reserved, and very carefully constructed. Nothing seems to be done accidentally, but both the methodical, oppressive feel of the movie and its unwaveringly self-conscious nature make it into something only a dedicated film buff could really enjoy. I've spent most of my time on the film itself, since the production owes far more to its construction than the people onscreen, but the actors do deserve a note. The starring role is filled by Shigeru Chiba, a voice actor with an amazing number of credits to his name (including Megane in Urusei Yatsura, also an early stop in Oshii's career). Chiba doesn't get to flex his muscle a whole lot, mostly sticking to a slightly stiff, overdramatic grumble, although that worked well enough for the character. The director's sidekick is played well enough by Tomoko Ishimura, probably the only person in the movie who really looks like an actor. (The unremarkable faces are an amusing side-effect of the anime-based casting--most of the large collection of very weird supporting players are also anime voice actors.) On the whole, the acting is a bit stiff and rather quirky, but that doesn't hurt the movie, and for all I know it was intentional. Talking Head is a movie that begs to be analyzed, although it forcefully analyzes itself to death before the viewer even gets the chance. On one level I appreciated how thorough it was, and as usual Oshii's steady hand is quite visible in its construction. There's also just a bit of the bizarre humor that he handled in such volume in Urusei Yatsura, somewhat ironically the closest of his works to this. On another level, I felt like I was watching a discordant essay on filmmaking, and one that seemed to be taking itself altogether too seriously for the most part. It was interesting from an intellectual standpoint, but I'm not so sure I'd recommend it to most people. 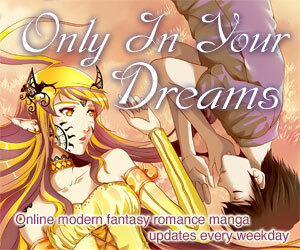 Most of the characters are named after anime personalities. Itano, for example, is named for writer/director/animator Ichiro Itano who was an animator on Urusei Yatsura and has worked on productions ranging from Macross to Gantz. Ito is presumably a reference to prolific screenwriter Kazunori Ito (who also has a Urusei Yatsura connection), and Kawai is no doubt famed composer Kenji Kawai (who in fact did the score for this movie, though he didn't work on Urusei Yatsura). This is not the only live action movie Oshii, better known for anime, has directed; he headed two live-action movies set in the same world as Jin Roh, as well as Amazing Lives of the Fast Food Grifters and a few others. Available in the US from Bandai on subtitled DVD. Talking Head is under copyright of its owner. Any images are the property of their respective rightsholders, and included for review purposes only under the fair-use clause of US copyright law.